XPlus will portray your brand with a bold sense of style using layered printed fabric panels for dramatic dimensionality. Interchange panels to target different audiences and applications. 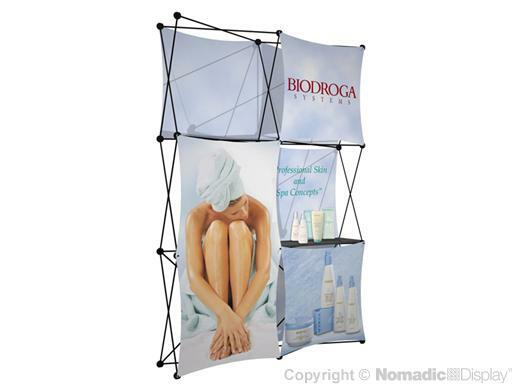 Vibrant fabric graphic panels come pre-installed so all you have to do is pop it open and you’re ready to show and sell. XPlus frames are also backed by the industry’s best “No Questions Asked” Lifetime Warranty giving you a lifetime return on your investment. 1 - FabriMural Carry Bag - 33" x 15" x 15"